2. Check the fuses in the engine compartment. ► If the fuse is blown, have it replaced by a dealer. 3. 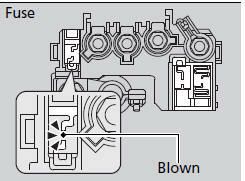 Inspect the small fuses in the engine compartment and the vehicle interior. 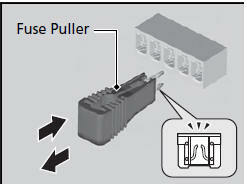 ► If there is a burned out fuse, remove it with the fuse puller and replace it with a new one.